You don't need break your budget to enjoy a fun activity when you're out with your kid. With less than 3 bucks, you can spend the afternoon being creative and dynamic while bursting into laughter. 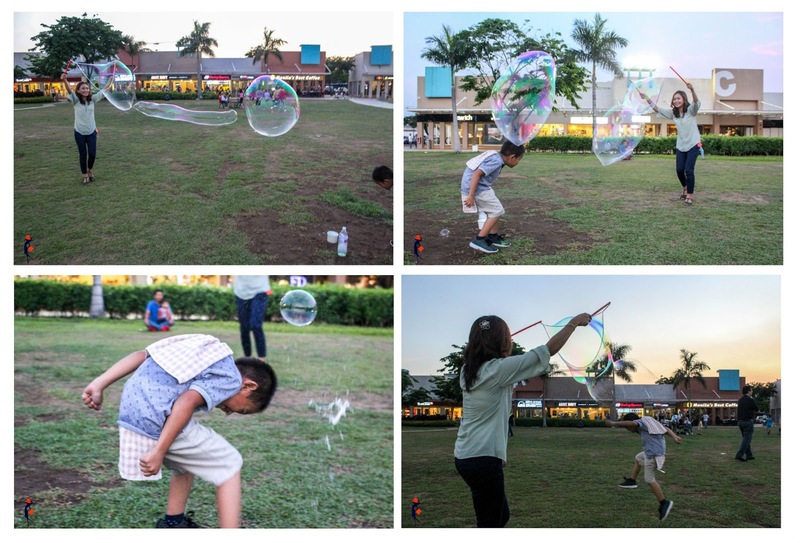 Have you ever tried making and playing with bubbles at the Blue Bay Walk? Like the huge ones? I have never, and it was my first time in the area too. If you happen to be around SM Mall of Asia complex, and you want a fun afternoon with your kid or family minus the crowd, try to visit the Blue Bay Walk. 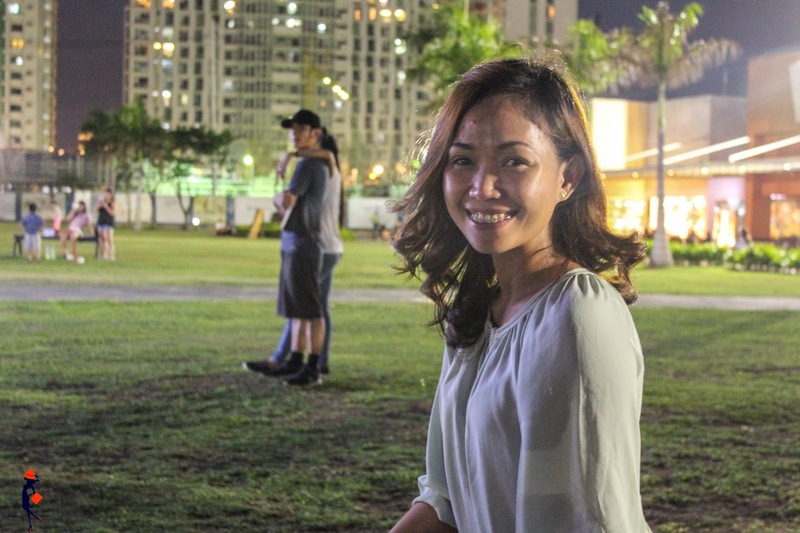 This family park is located at EDSA corner, Diosdado Macapagal Boulevard in Pasay City. People come here to dine or do their late afternoon jogs. There is an oval for biking, strolling, using your skateboard and walking your pets too. Several restaurants surround the park. You can conveniently dine when you feel hungry. I like snacking at Army Navy. The cheese quesadillas are my son's favorite. Bon Chon is also good for Korean chicken wings. For those who want to try delicious Filipino food or maybe treat a friend or relative to excellent Filipino cuisine, dine at Crisostomo Restaurant. When it's time to be hyperactive (again), go out in the open and play with bubbles! Like I said, I've never tried making and playing with huge bubbles and was kind of skeptic about it. How do you even blow them(?). How do you use those two plastic handles? My mom enjoyed making bubbles. She could make a series of bubbles better than I could! After the first bottle got used up, we decided to buy one more. 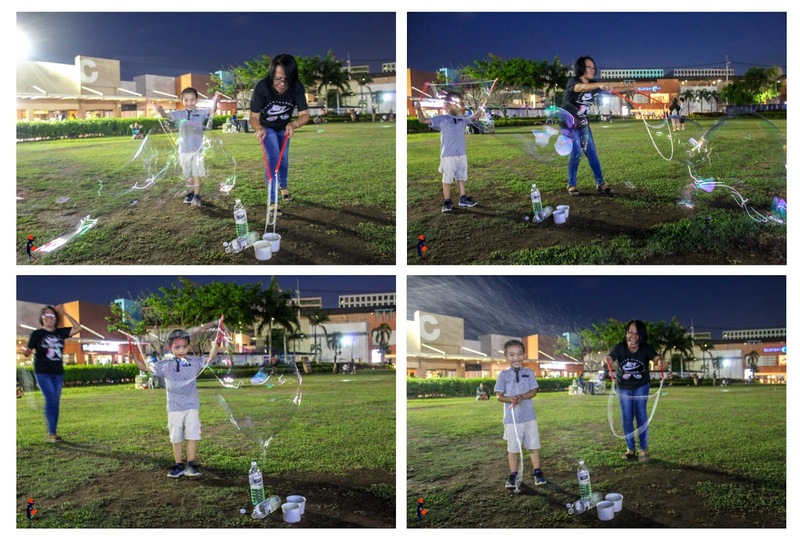 The bubble kit is sold at Php 120.00 You can make tons of bubbles from the litre. I realized making bubbles was pretty challenging, but at the same time fulfilling! It is a nice experience for the whole family. Glad my sister pushed me to do it and glad that we need not blow those thin liquid to create huge globules. We certainly had a kick out of this "bubble party"! Would love to do it again! 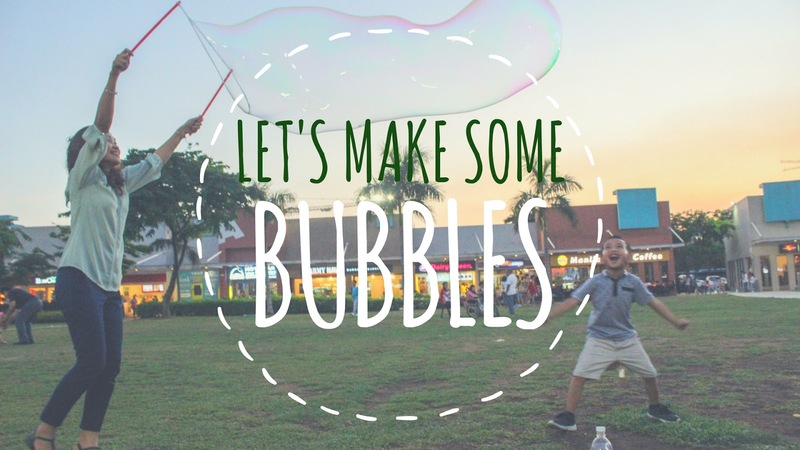 Have you tried bubble making? How was your experience? 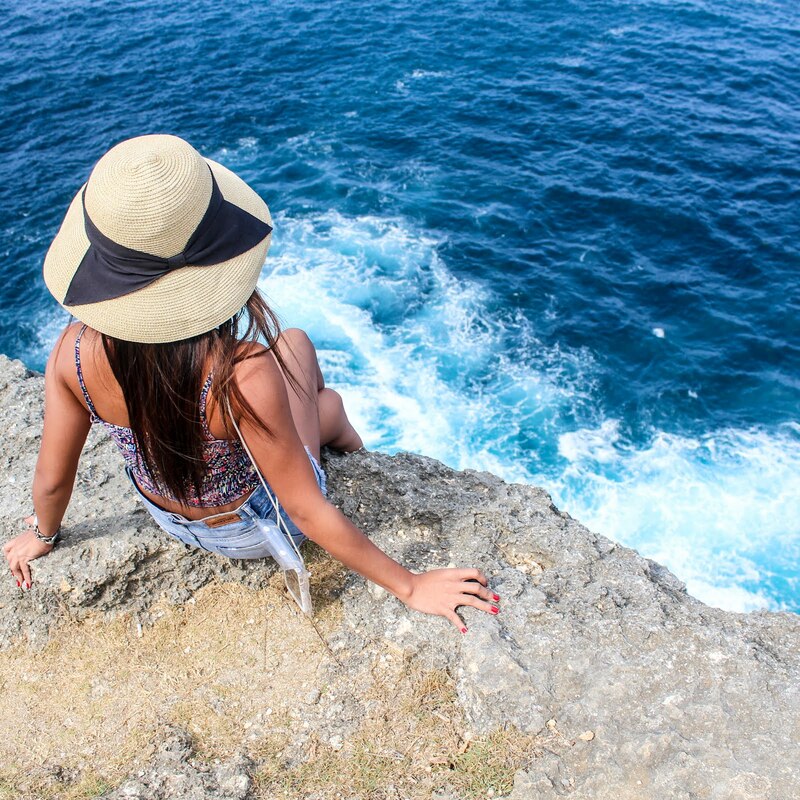 And if not, would you love to try it? I'd gladly appreciate your comments below!